Soaring into the desert skies over Dubai, the Burj Khalifa is a collection of firsts. On the day it opened in 2010, it was the tallest free-standing, man-made structure in the world — 2,716.5 feet and 160 stories tall. It was also home to the highest residences in the world (on the 140th floor), the highest outdoor observation deck in the world (124th floor), the longest-distance elevator trip in the world (the main elevator at 1,654 feet straight up), and the world’s first Armani hotel. Beyond all those firsts, however, is a marvel of sculptural architecture and innovative engineering that even its designers weren’t sure would succeed. To create this massive structure, the design and engineering teams had to overcome not only the technical problems created by the building’s tremendous height, but also logistical issues arising from its location close to a major fault line, and from the famously violent winds that swirl around and through Dubai. 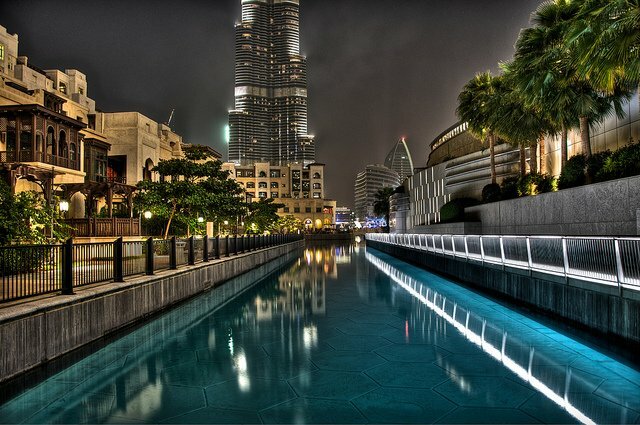 Designed to be a complete vertical city, the Burj Khalifa combines residences, restaurants, offices, retail space, four swimming pools, a gym, tennis courts, and a luxury hotel complete with spa — so people can work there, play there, and live there in total comfort. On average, about 6,000 people occupy the building each day. 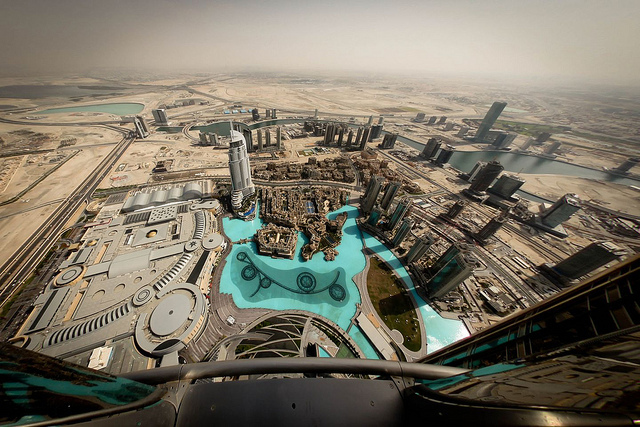 From the Burj Khalifa’s observation deck, the city’s glistening new skyline is clearly visible. 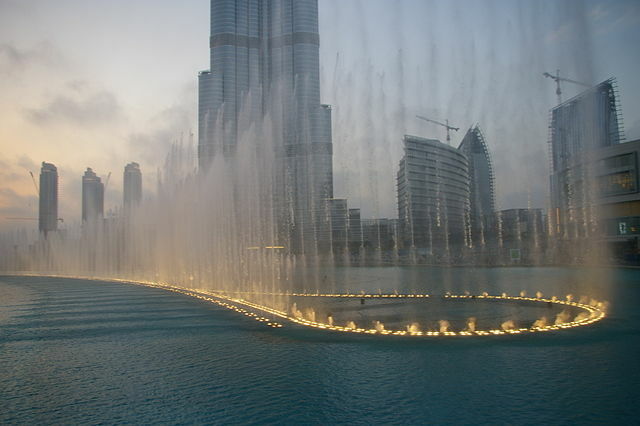 Also in view are the elegant Dubai Mall and the 30-acre man-made Burj Khalifa Lake with its dancing fountain that jets up to 50 stories — the highest in the world, of course. Yet even here, in this oil-rich trading center and investment haven, money problems have dogged the Burj Khalifa from the beginning. 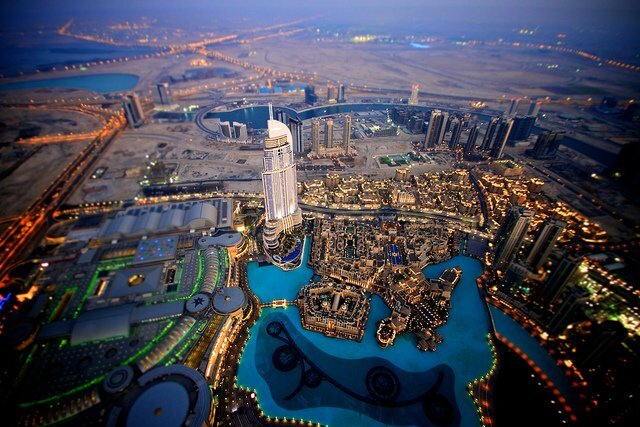 A year before the tower was complete Dubai experienced a massive debt crisis. At a cost of nearly $1.6 billion, the building might not have been finished without the help of neighboring emirate Abu Dhabi — in the form of a $25 billion bailout. In appreciation, the skyscaper was named Burj Khalifa to honor Sheikh Khalifa, the ruler of Abu Dhabi and now President of the United Arab Emirates. Today’s money problems are a bit different. The expenses of owning or renting a home in the Burj Khalifa are so high that even Dubai’s international elite are having trouble meeting their obligations. We’re not talking about peanuts — monthly rents here average about $5,500 a month, with maintenance and other fees totaling an additional $250,000 a year. Some residents have quit paying their building maintenance fees, and they’re finding out their key cards no longer work in the tower’s exclusive gym, tennis courts, and pools. Worse yet, they’re afraid that they’ll soon be denied access to the elevators — no joke in this 160-story behemoth. The result? There may be a few vacancies in this ultra-exclusive Dubai high rise. 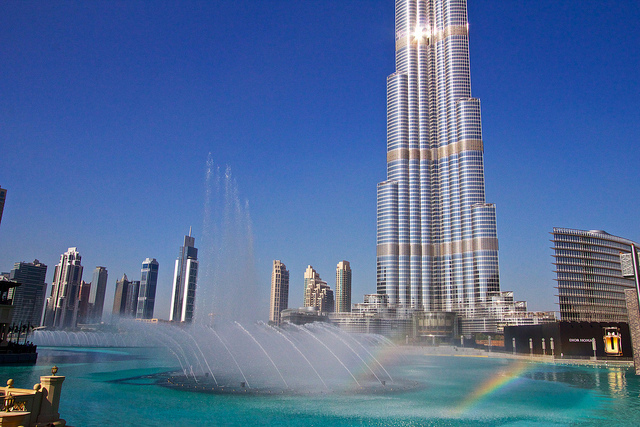 If you’re interested, a two-bedroom apartment in the Burj Khalifa goes for about $18 million.